It’s quicker on the phone. Cowan, an attorney, was Gov. Patrick’s chief of staff for most of his current, second term. Like Patrick, he’s African-American. Thus, for the first time ever, the Senate will include more than one black member at the same time — Cowan and South Carolina’s Tim Scott. I’d thought that the Reconstruction era produced multiple black senators, and it did, but they served a few years apart. And since senators were appointed by legislatures until 1914, that means only three of the eight black senators were elected by voters. That could change. 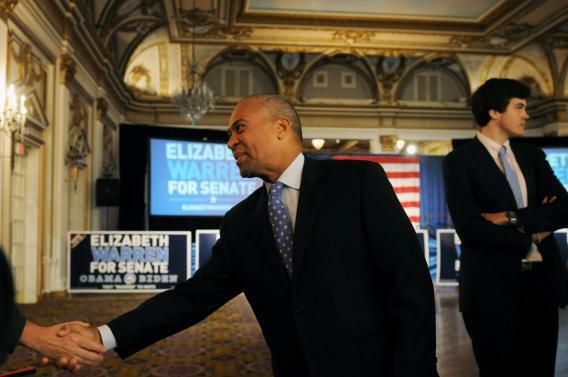 Scott’s a pretty sound bet for re-election in 2014, and Cory Booker keeps ignoring the shade thrown his way and running for Senate against Frank Lautenberg. But for now, we have made history, sort of — Cowan is the first black senator appointed by a black governor.